Update: The Sony Xperia X and Xperia X Performance are now available in the US! 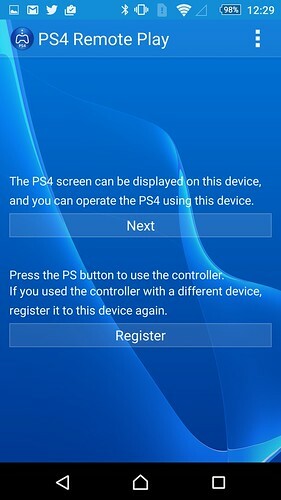 Get ’em here, then refer back to this guide to get PS4 Remote Play set up on your new phone. Big news for PS4 owners! The Xperia Z5 and Z5 Compact are available now at Amazon, Best Buy, and B&H. Our new smartphones feature the world’s fastest autofocus camera among leading smartphones, hi-res audio, splash- and dust-proof design, and a battery that lasts up to two days on a single charge. For more information on these features, please visit the official Xperia Z5 site. Perhaps most importantly of all, the Z5 series features PS4 Remote Play, so you can keep playing your PS4 games on your phone. 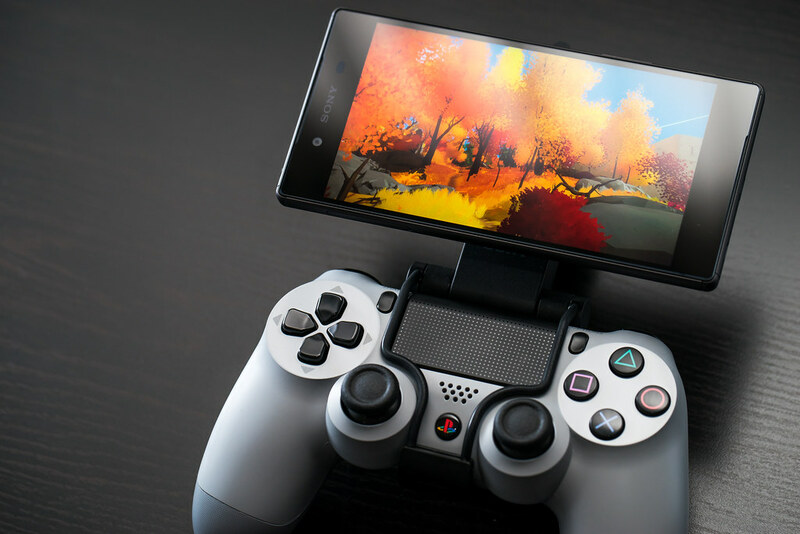 Here are the key things you’ll want to know when setting up PS4 Remote Play on the Xperia Z5 and Z5 Compact. Setting up PS4 Remote Play is easy. First make sure your PS4 and Xperia Z5 are both connected to the same local Wi-Fi. 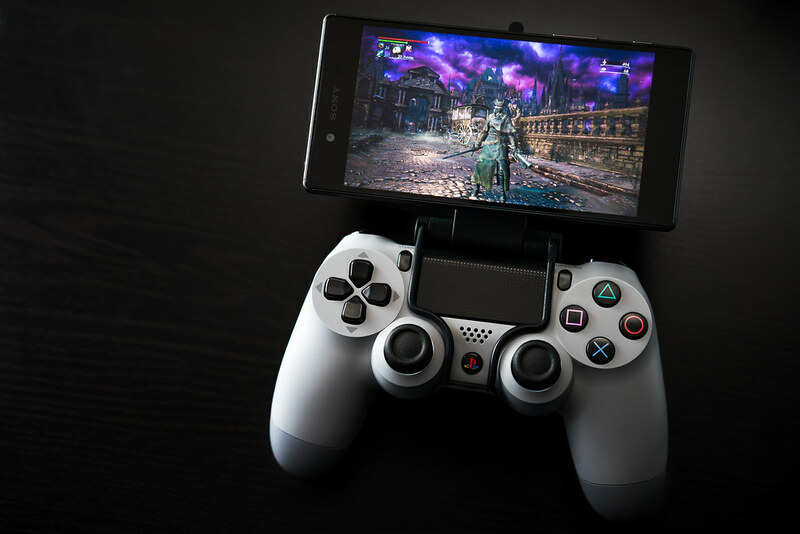 Then, after downloading the PS4 Remote Play app onto your phone, navigate to the Remote Play Connection Settings on your PS4 and select “Add Device.” This provides you with a code to connect your Xperia Z5 and your PS4. 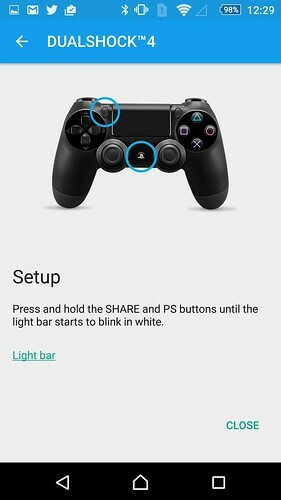 For the best experience you’ll want to pair a DualShock 4 with your Xperia Z5 by launching the PS4 Remote Play app on your phone and tapping “Register.” After you’ve followed the instructions to pair your DualShock 4, tap on “Next” in the PS4 Remote Play app and wait for Remote Play to connect. If it doesn’t automatically connect tap “Skip” and input the code from your PS4. Don’t forget to connect your PS4 and Xperia Z5 to the same local Wi-Fi network. With PS4 Remote Play you can keep playing in your room, in the kitchen, on the front porch, or anywhere else in your home where you have a Wi-Fi signal. The Xperia Z5 fully supports DualShock 4 — pair it with the official Game Control Mount GCM10 (shown below, available separately) for maximum flexibility. If you choose not to use DualShock 4, you can still play on your phone by using the onscreen controls. There you go! The Xperia Z5 and Xperia Z5 Compact are available now at Amazon, Best Buy, and B&H. Is anyone picking up the Z5 today? Leave your thoughts in the comments below and let us know what you think. Now SCE (the PlayStation branch) is advertising products from an almost unrelated company more than they do Vita. Cool. They are advertising their own product. You are either too bitter or have poor business logic. Even worse I thought Sony was bringing Remote Play to everyone after Script Kitty from XDA developer forums had hacked remote play to play on any Android phone. After starting to commercialize the concept I thought Sony stepped in and said they would release Remote Play to major smartphones, Tablets and Mac & Windows? Months later we get this announcement. It seems silly to lockout a great feature when Xbox is doing it with Windows 10. Not only do we share the same roof at PlayStation HQ we are all apart of the Sony family! I have been using Remote Play with my Vita for years and have found Direct Connect works better for me. Give that a try as it is a solid connection and is amazing. Vita remote play works flawless for my vita. I do direct connect as well. Remote Play is flawless on VITA for most games, at least on my network. I love remote play on my Vita. Was surprised that Tales of Zestiria performed flawlessly using it, even with L2 and R2 touch panels. Yeah, and if only the PS Vita actually had reliable controls equivalent to the DualShock 4, instead of analog sticks with no L3 R3 button function and fidgety, unreliable, gimmicky control features like back-touch, which constantly get in the way. Yea just like how you guys hyped the living crap out of the PS Vita then abandoned it, Just like how you guys hyped the PS TV and spent a huge portion of E3 on it only to abandon it. The same way you’ll hype this one up and abandon it to. They spent like 3 minutes on PSTV. No one knew what that was and honestly, given they way they’ve treated Vita it should’ve been clear they weren’t going to support it. They abandoned VITA after 3yrs of effort and a terrific library of games. No one in America bought it, not Sony’s fault that ppl are sheep. My PS TV still works and plays most of what is coming out for Vita now (minus gimmicky touch-control-dependent games, no thanks), and delivers rock-solid Remote Play since I can use wired internet with it. App support could be better but what are you gonna do. My point is that the PS TV hasn’t been abandoned any more than the Vita has been overall. Difference is that this is a phone first so it won’t be abandoned as easily. No Z5 Premium … No Thanks! Why can’t we use a DualShock with the Vita? This is annoying, but it can be done for Remote Play. You just need to be logged in using a sub-account (or other account on the PS4) to be able to do it…. But yeah, I really wish I could play as my account using the DS4 controller, connected to the Vita and Remote Play. Agreed. Had Sony made this happen I might have kept my Vita. Why should I switch from my Galaxy S5 to this Phone? Why can’t I buy a remote play app off the app store for 5 dollars? Why isn’t my Vita getting this sort of attention on a regular basis? Why can’t I play PS1 and PS2 titles I own on the PS4? I have more where that came from. KazeEternal, asking the hard questions! Also a very good question. I would pay $9.99 for the app to use with my S3 or iPad mini using a dual shock 4. I have a vita but remote play feels so strange. Don’t hold your breathe guys. Your talking about three entertainment GIANTS sharing proprietary software coding. Never gonna happen. This is just Sony promoting other Sony products. I think the phone is really neat. Another clever device from the engineers at Sony. I have one request: If you abandon the PS Vita, could you please manufacture it for Nintendo? It really is a wonderful handheld, and I believe that Nintendo would support it properly. Sony tried that tactic once already. It was called THE SONY PLAYSTATION. You can see how that worked out. Does that mean the Z5 won’t connect to the PS4 through the internet from outside networks? Be interesting to know how it could handle Remote Play on a high speed LTE network (discounting the data usage on a cell network instead of wi-fi). Also wondering if the Z5’s internals would provide a smoother wi-fi experience than the Vita’s. Is there much in the way of input lag considering DS4 to Z5 via wi-fi to PS4? You can’t use Remote Play on LTE. It just refuses to even try to connect unless you are on Wi-Fi. You don’t need to be at home, though – I’ve used work’s Wi-Fi to play my games. This restriction IS really stupid and irritating, though. I’ve tethered my Vita to my phone’s LTE, at which point my Vita believed it was on Wi-Fi, and I was able to remote play to my PS4 just fine on mobile internet. It is “recommended” that you use your local network for Remote Play ;) When I’m gaming I don’t experience lag issues but it might not be my first choice if I was in the finals of competitive fighting game tournament. *Sigh* would love a MFi certified DualShock controller for iOS devices -_-.. The Z5/Z5 Compact are unlocked phones that are compatible with T-Mobile’s networks. Any chance of PS Now coming to these devices? Still waiting for the official Remote Play that was teased for PC/Mac a while ago. I wish this kind of thing was supported for my iPhone. No interest in Xperia phone even if it has this cool feature that I might use once a year or so when on vacation away from my PS4. Need to bring a remote play feature to android and iOS, i dont know one person that owns a sony phone. Too bad such a great device is stranded on such awful networks. I still don’t understand why Verizon was picked for the Z3 and Z4 (even though the latter obviously was killed off before it even launched) and abandoned that carrier completely for the Z5. The Z5/Z5 Compact are unlocked phones that are compatible with any GSM carrier giving you more freedom to choose. I agree. Why limit the offering. Now if I import I must worry if I would get the same level of support as if it were officially released out here. At this time the Z5 Premium is not offered in the US officially by Sony. This is so potentially cool, but still missing the huge potential of making Vue and Now accessible from these Sony devices. I’ve got a Z5 and the remote play works perfectly. Way better than Vita, on the same Network. On the other hand, the camera is not as good as I thought it would be. 1- I see no reason to switch from iphone to a Sony phone. As others have pointed out, it might be better for Sony to just allow remote play on other phones. 2- I wish that instead of promoting this, Sony would focus on pushing stuff like Hori’s grip attachment for the PS Vita, which adds the so much needed L2 and R2 buttons, allowing the PS Vita to be on par with a Dualshock 4 and improve the remote play experience. I love Remote Play on my Vita and on Xperia Z3v…but I wish SONY Mobile would really get their act together and release these phones at the same time worldwide or very close to each other. ‘m also on Verizon so most of these phones are a no go for me. We want your phones SONY just please release them and then ADVERTISE. I’m still on Kitkat on X3v btw so please push Verizon to release an update! yes people did actually buy the Z3v! Z3v is awesome if you’re into playing games on your phone. Not only games, its an amazing phone period. I agree, MakoSOLIDER. Sony makes great phones, but they either don’t release them in the U.S., or only on some carriers. The Z5 sounds awesome, but it looks to be GSM only, so it will work on AT&T and T-Mobile, but not on CDMA networks like Verizon and Sprint. Meanwhile nowadays pretty much everyone else (Apple, Samsung, HTC, LG, etc.) releases the same phone in all countries and on all carriers with similar specs and release dates. Has anyone had any luck using their DS4 controller on Xperia using a connected OTG cable? Does this mean we won’t be getting the Z6? Remote play on the Vita was good, but once I got my Z3v the Vita just collects dust. The ability to use a Dualshock controller renders the Vita useless (for remote play at least). I found that I still used my Vita for certain games that had good mapping like MGSV because that OLED screen lol. Plus I found it easier to see using my Vita because I could hold it closer to my eyes. I didn’t buy the thing that holds the phone from the DS4 and instead used the stand built in my case on a table. US needs the Xperia Z5 Premium. If don’t announce the Z6 later this month. I hope we a least get the Z5 Premium. I’m ready to upgrade from my Z3.. Make it happen Sony. Yes! 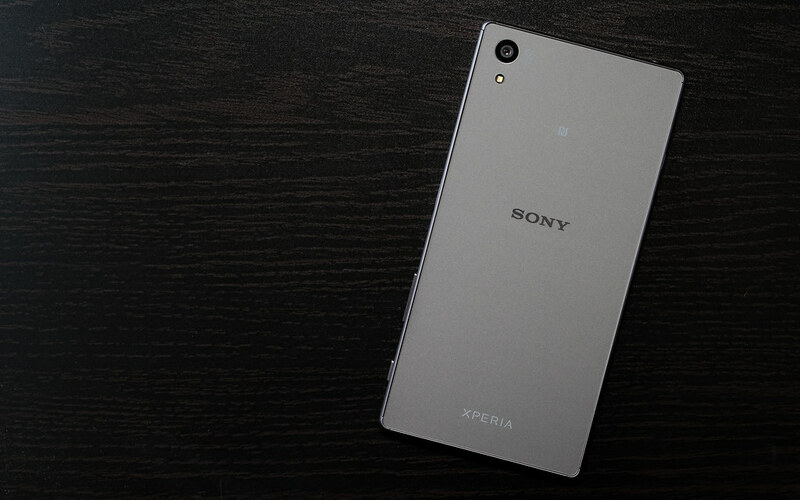 We wants the Xperia Z5 Premium in the US!! Where’s it at?? Z5 owner here. Bought it a couple months ago in a very handsome shade of green & it works flawlessly on T-Mo. Since Sony will likely not do any marketing for this release, I’ll post some impressions. Yes, remote play works well. It is on par with my Vita, although my Z2 Tablet is better for this purpose. I didn’t buy the phone for PS connectivity though. I bought it because it is gorgeous to look at and hold in the hand (the frosted glass back is a thing to behold), is waterproof, has an expandable SD card slot, plays hi-res audio (seriously, the audio capabilities of this device are incredible), supports LDAC bluetooth, has industry leading battery life, and has a very good camera. It’s 4K video capabilities with steady shot are without peer. Also, the UI is very close to stock Android, and is a very classy, grown-up UI as opposed to Samsung and their godawful touchwiz business, or IOS and their boring rows of dayglow apps. So if you are on the fence and are a fan of Sony products, check out the Z5. Hopefully they bring all colors over to the US market. Screw the carriers and their 2 year upgrade cycles. Unlocked and off contract is the way to go. I only wish the folks at the newly forming SNEI would release the Playstation Video app so I can play the videos I buy and rent from the Playstation store. I don’t understand why you continue to list this feature and its exclusivity to Xperia phones, when it doesn’t work, and the app doesn’t even exist in the US. The PlayStation Video app is preloaded on the Z5/Z5 Compact. Only works on local WiFi…… I really don’t see any point to this. But I’m sure somebody out there somewhere will enjoy this. Only works RELIABLY on local WiFi. Sony won’t recommend using it on outside networks because they can’t guarantee the quality. 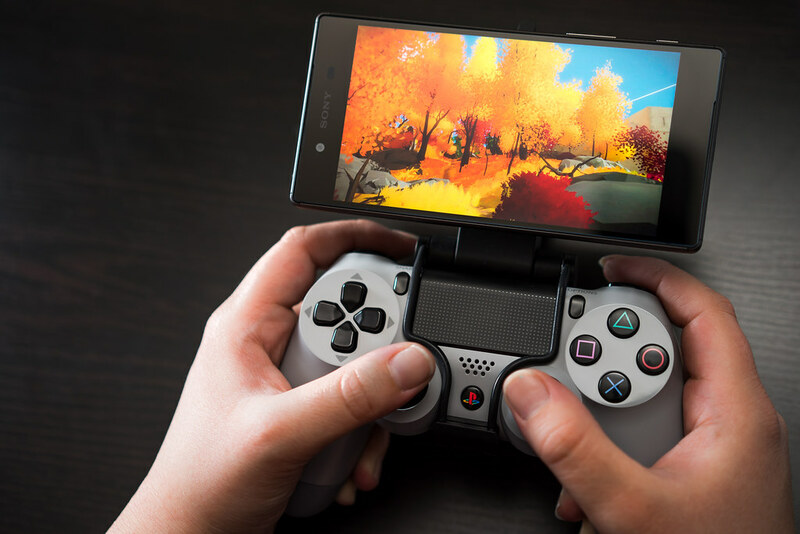 1) I’m sure the Xperia phone will be great, but many of us have non-Sony phones and we would like to see Remote Play and PS Now on those devices (iOS and Android). Can Sony work with Apple to get the DS4 MFi certified? 2) Where is the Remote Play Mac/PC app? Hopefully it has PS Now and Vue as well. It would be *awesome* to get the DS4 MFi certified!! I’m curious if they allow for downloading of PS1 games to the phone as well, like I could with the Xperia Play 4+ years ago. I’m probably not allowed to post the source info but those who do NOT have Sony phones/tablets, there is well-known custom firmware that allows Remote Play on non-Sony devices. I believe you device has to be jailbroken, though I’m not certain of it. It’s pretty easy to find on the net. plaztiksyke, how do you download PS1 games on the Xperia Play? I know Sony sells PS1 games in the Google Play app store in Europe, but strangely they’re not available in the U.S. Google Play store. I love my old Xperia Play with its slide-out controller, and I wish Sony made a modern one. It would be perfect for PS4 remote play. No CDMA soooo no Verizon support. Bummer. Rather like my Z3v most days. I bought an Z3 like a month ago. Tried remote play, it worked ok. not as smooth as with my Vita. But it´s cool to be able to use the DS4. I have to get the mount now. Xperia Z5 Premium on T-Mobile, Please!!!! When I saw the picture for this article, I nearly had a joy-induced heart attack because I thought that this was announcing an Xperia Play successor. I miss my Xperia Play. My Xperia Z3v with a Dualshock 4 is just not as convenient as having a slide out gamepad. Too exclusive, there is no reason Remote Play can’t run on other Android phones. This type of business defeats the whole point of an open OS. It does work on other phones….you just have to install custom firmware. Your phone *may* have to be jailbroken to run that CFW but not 100% sure. Pretty easy to find that install on the net. As soon as the Z5 was announced, and especially after the excellent reviews came in, I was waiting desperately for this phone to come to the U.S. When it was finally announced that it would be arriving stateside, I was sold… that is until they revealed it would not have support for Verizon’s network – I’m not desperate enough to switch carriers. So I ended up settling for a Nexus 5X for half the price. I’ve installed the custom firmware version of the remote play app and I can confirm that it works flawlessly on the 5X with the exception of compatibility with the DS4 controller via bluetooth – Android recognizes the controller, but the app doesn’t, which results in unbearable input lag. However, If you’re willing to root, there’s an app that resolves this issue. You could also buy an OTG cable which should work if you can put up with a wired connection. The experience with my Nexus 7 on the other hand hasn’t been as good as it requires the low framerate setting to display a picture. Btw, the US variant of the Z5 doesn’t include a fingerprint censor for reasons I will never understand. Yeah, I only would want to use OTG connection for the DS4 controller. Is there much lag using OTG? OTG doesn’t work on my HP Touchpad. Bluetooth on a non-Sony device doesn’t seem to work for me with the controller. The only way for me to use DS4 with Remote Play is to sign in on a 2nd PSN ID and perform the workaround. Not too shabby if I’m on my home WiFi environment, but it doesn’t work outside my hone network. I have used the CFW on my HP Touchpad but it requires constant updating due to Sony’s recent big PS4 firmware upgrade. Agree it was a strange decision to remove the fingerprint sensor. Although from experience, it doesn’t really work that well (maybe 50% of the time) and is only used to unlock the phone, so no big deal. A bigger deal is releasing these 5 months after they were announced, and 4 months after they were made available to the rest of the world. Sony has no clue how to penetrate the US market, which is obviously dominated by Apple & Samsung, even though Xperia phones are superior in almost every respect. Riding on the wave of PlayStation’s success is their only hope to woo new customers. Oh well, maybe they will figure it out by the time the Z6 is released (don’t hold your breath). btw…that sounds like more work than switching carriers. I don’t think we’ll ever see a Xperia flagship on Verizon or Sprint ever again. They would need to develop a special US only version of the phone (like the Z3v) specifically for the CDMA networks that Verizon & Sprint use, which does seem like a hassle considering most of their sales come from overseas, which use the more common GSM networks like AT&T and T-Mobile. They should also discuss the use on the Xperia Z2 Tablet, Z3 Compact, and more recently Z4 Tablets. They great screens and also connect to DS4 controllers. Useage with the clip won’t work but you can put it on a table. It’d be interesting to find out if you can use MHL concurrently or if it’s protected/blocked. ManjoumeThunder makes a great point. PS4 Remote Play is available on those devices too! The OTG cable works great with my Nexus 7 2013 without any noticeable input lag, but I prefer not to play on that device due to the lower framerate issue I mentioned earlier. I couldn’t try it with my 5X though because it has usb type-c, so I need to get an appropriate OTG cable for that. Using OTG is a compromise though since the controller actually charges itself by drawing electricity from your devices battery at a rate much higher than using bluetooth would. There is some form of hope on the horizon though: Sony’s mobile division seems to be on its last leg (wonder why..). If it goes the route of the VAIO we’ll likely see remote play brought to other devices. Really a shame though, Xperias are excellent devices. If they would only learn to give customers what they want instead of always holding 1 or 2 things back from them. Interesting, thanks. I am considering getting an Xperia tablet, ONLY for the PS4 remote play. I would imagine that OTG connection via a fast WiFi network would work well on the Xperia. With my current HP Touchpad setup using the CFW, OTG is not recognized and the 2nd PSN ID workaround works well with wireless DS4, but I can’t stray too far from the PS4 itself. Another thing I’ve found is that I will sometimes be 2-3 feet from the PS4 and I get the Remote Play “Losing connection” type warning. My WiFi home network is pretty fast….25-30mbps, I think, so that is a mystery to me. No thanx. Mobile is what’s bringing sony down. I bought an xperia4 and was not impressed. I’ll stick by my vita (even though you won’t) and my Sammy. I will buy the Z5 compact when $ony decides to let T-mobile carry it, I’ll jump in a heart beat from my iPhone 5S. Until then I’m not spending $500 flat. Don’t hold your breath on T-Mobile carrying the phone. So why isn’t this phone available through ATT or Verizon? Shelf space. I love the Xperia line. The best implementation of the Android OS (Touch Wiz, Sammy, is horrible). But, the US market only cares about two phones right now.. ATT was supposed to release the Z4, but scrapped it’s release, no clue about Version; similar reasons most likely.. T-mobile, lol, they don’t even sell Sony phones. My headphone jack on the Z3 started acting up, and TM wouldn’t even replace it.. Why? because they don’t even have it in their warehouse. I was offered a downgrade phone instead. Amazon/BB is your best bet, unless something changes with the Z6. I love using remote play on vita, i play pretty much only on the vita and play destiny all the time remote play, works flawlessly. I also have an xperia z3 which i occasionally use with my Dualshock 4, but i feel there is a slight lag every now and again when on vita i never have lag. love them both though. is the Z5 Premium only in the UK? i can’t find it in American stores or sites. How about a feature to cast the ps4 screen to chromecast? That would be awesome!